I do love my food, but sometimes the smell of cooking gets trapped in my kitchen for days! Some foods are worse than others, so I try to keep the window open, and the extractor hood is running while I cook. Everyone knows onions are one of those foods you have to cook with that can cause a real stink. But in my house, there are far more foods to worry about! Garlic is a big part of my diet. I love the flavor it brings to my recipes, and there aren’t many that don’t require it. For me, the smell of garlic on my fingernails is a bit of a turn-off, though. Even after washing my hands it still lingers from peeling garlic. I love the taste, so it’s worth it to me. Cheese is another smelly food I enjoy. European cheeses are definitely the worst offenders. 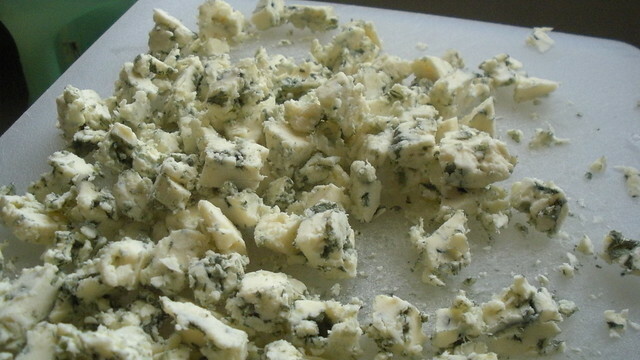 Blue Stilton is one of the stinkiest, and there are plenty of Dutch cheeses that can turn your fridge into a smelly nightmare! Some people use fridge deodorizers. You can also try a bowl of lemon water to freshen your fridge. When I’m marinating meats for the barbecue, I like to leave it overnight in the fridge to make sure the flavors really set in. Unfortunately, the fridge smells of the sauces for days after they’ve all been eaten. Rather than bleaching, you can try some bicarbonate of soda in a bowl of water to take on the meat smells. Only a tiny amount is needed. Lemons can help too. If you’re a big fan of Thai curry, you know just how full those aromas can be. The mix of spices blends to make the most incredible flavor fanfare. When you’re cooking curry, the steam is often colored with the curry spices and can even stain your ceiling. I find I need to clean my extractor hood filter out weekly if I’m having a lot of curries. Open windows to dry out the steam helps reduce the stains and the odors. Keep all your interior doors shut to avoid the smells getting trapped in soft furnishings and fabrics. Not all curries should be cooked with the lid on the pan. If you’re really worried, why not try a barbecue pan and cook it outdoors? Fish is one of the healthiest dishes you can eat, but it can also be one of the smelliest!. When it’s raw in your fridge, seafood can pack a punch. Keep it double wrapped if you can. When you’re cooking fish, there are some herbs that keep the fishy smells down, like parsley. Tomato based sauces also tend to cover the fish smell better than the buttery ones. Obviously some fish flavors are fishier than others too. Stick to white fish and pre-cooked prawns to reduce odor in your home. I love food that is full of flavor, and no amount of aroma is going to put me off. Anything that reduces it though is probably a good idea for a fresh smelling home tonight! Enjoy your meal.